In late March, Cheap Trick guitarist Rick Nielsen confirmed the band would reunite with estranged drummer Bun E. Carlos to perform at their induction into the Rock And Roll Hall of Fame in New York the following month. Carlos left the touring lineup in 2010, was replaced by Nielsen’s son Daxx, and then found himself suing his own group for monies owed before reaching a settlement last year. The Rockford, IL band were set to enter the Rock Hall during an April 8 ceremony alongside Deep Purple, Steve Miller, Chicago and N.W.A. Check out the No. 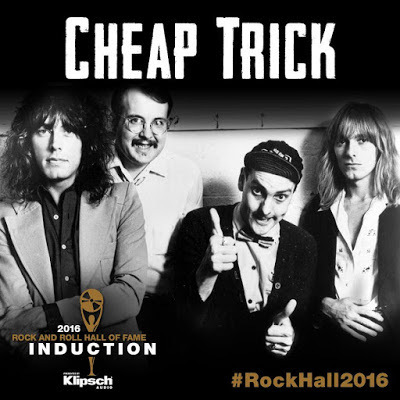 5 hennemusic story of 2016 on CHEAP TRICK here.